Airport Metals (Australia) offers a wide range of aluminium and stainless steel products in a wide range of compositions and sizes. Browse our stock list today. Work with a supplier who understands your business. Airport Metals (Australia) provides a comprehensive range of rods for use in a variety of challenging industries. 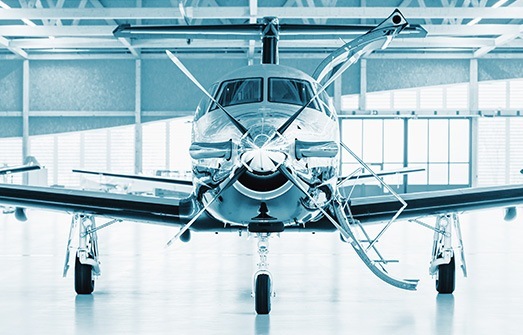 For more than 50 years, we’ve been the partner to some of the region’s most discerning businesses, providing materials that can meet even the strictest tolerances and requirements in fields such as aviation, defence and motorsports. No matter what you’re building, your business can benefit from our extensive inventory and depth of experience. At Airport Metals (Australia), we understand that many of our clients work to strict deadlines and often require materials at short notice. 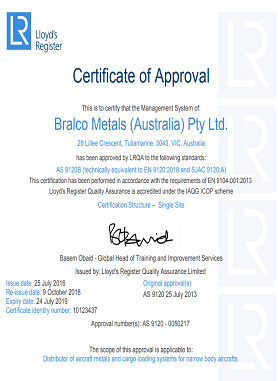 To better meet your needs, we ensure that our Tullamarine facility has as complete a stock of stainless steel and aluminium bronze rods as possible, offered in a range of diameters and in all lengths. With competitive prices on all products, you could potentially cut your costs dramatically when you work with our company. Browse our product list and find something suitable for your project. 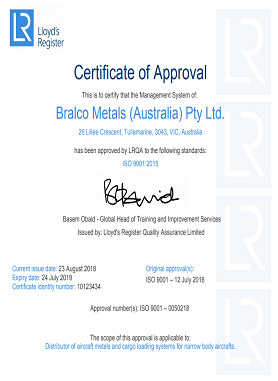 Airport Metals (Australia) is dedicated to providing the comprehensive support businesses of every size across Australia and Oceania need to succeed. Our extensive collection means that even the most specific request can be fulfilled rapidly, helping you to turn your projects around faster. Where your organisation requires an uncommon or specific product, our relationship with our parent company Reliance Steel & Aluminium Co gives us access to over 100,000 metal products, ensuring that every need can be met. Our products have been used in everything from the construction of race cars to repairs for commercial airliners. We source and provide only the highest quality products, giving you the peace of mind that comes from working with the very best at every level in your organisation. Make the right choice for your business and consider how our collection could fit into your operations.